Come see Team Hero Chick at table B9 Saturday and Sunday 02/16-02/17! Click on the title above to link to the website for ticket purchasing options. Click on the post title above for event information and to buy tickets. Alice Adams faces her toughest challenge yet as Doctor Mishlov launches an aggressive attack on the student body. Alice must push her scientific prowess and her super powers to the limit if she is going to save the day, because this time it's personal! Alice Adams faces a Frikkin Dragon from an alternate dimension! Can she keep the Dragon from roasting the crowd enjoying their day at a historic pier and thwart the plans of her newly found nemesis? 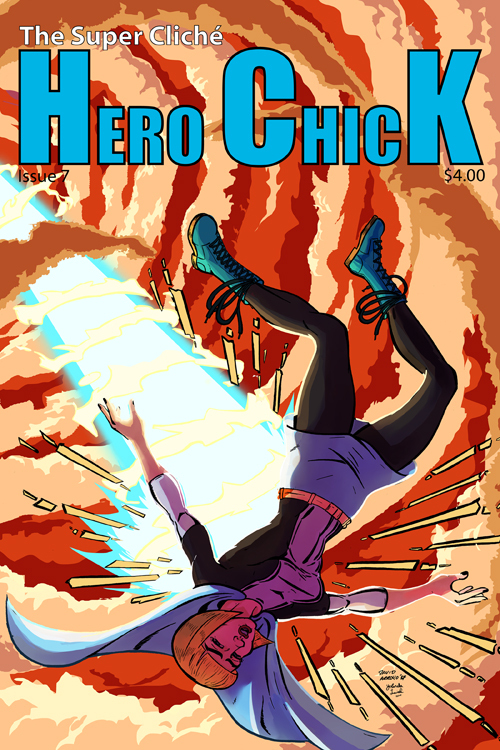 Issue #4 brings a few short stories as we explore more of the Hero Chick world. 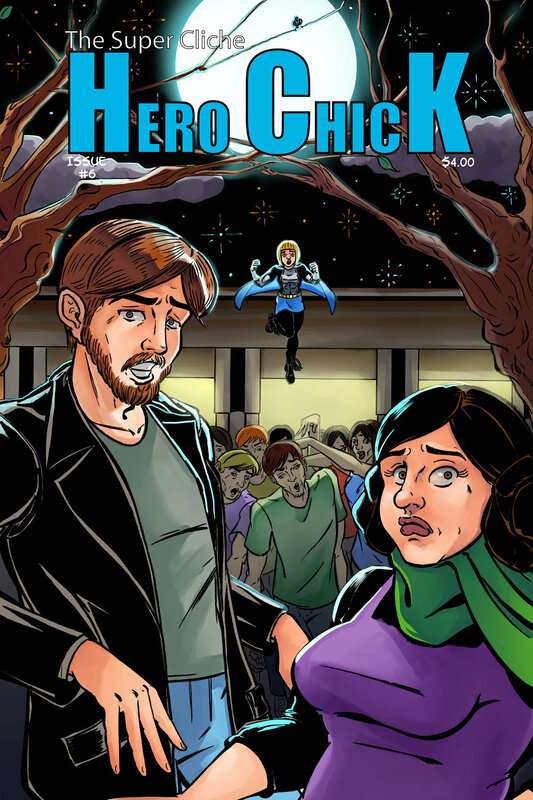 Alice meets two new super heroes, one of which she has to struggle to keep on the righteous path. We also see Alice deal with one of the biggest problems in college life today. Alice Adams faces the first big test of her new abilities when she is called upon to battle a robot of doom FROM BEYOND THE STARS! Can Alice put a dent in the extraterrestrial threat or will earth fall to it's might? Alice Adams begins her adventures here as she is given the miraculous Serum Z giving her powers and abilities far beyond the normal person! Now she has to balance her college life with the ultimate extra curricular activity of saving the day. If you are looking for a fresh take on classic themes you have found it!